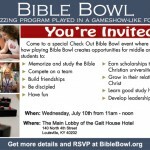 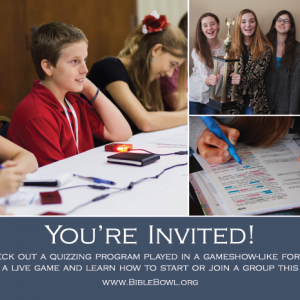 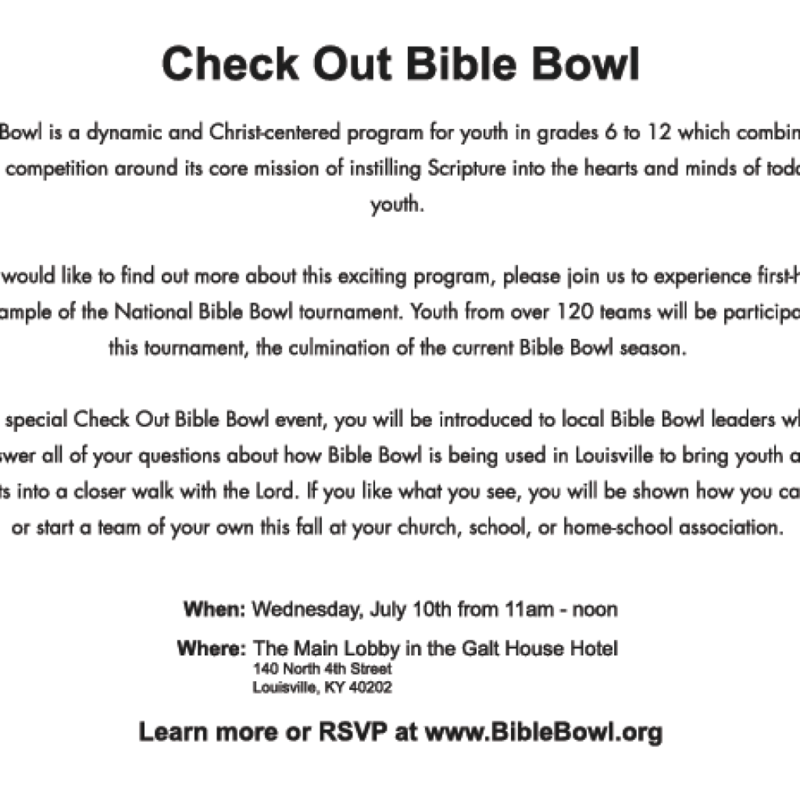 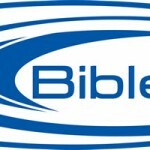 There are various marketing materials available for you to use to promote your program and provide information to those curious about Bible Bowl. 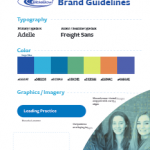 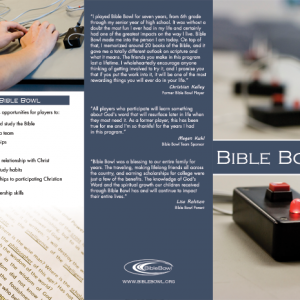 If you would like to customize the content of any of these marketing materials, you can download the editable files or if you’re unable to modify .psd files you can contact bkuhl@biblebowl.org. 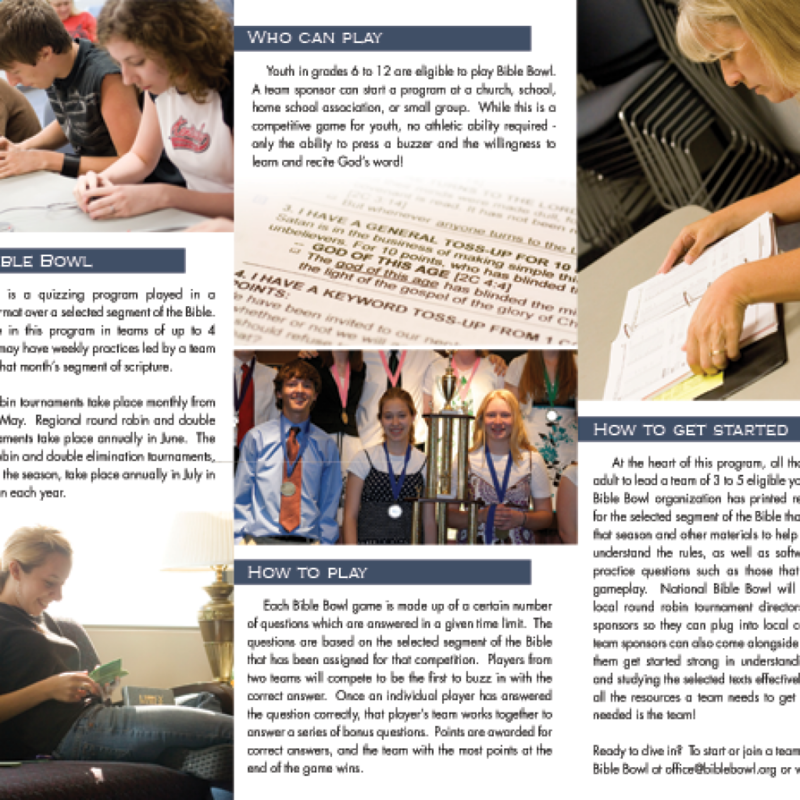 You can use this postcard as an invitation to “Check Out” your round robin or practice. While the postcard is intended to be mailed, the postcard handout is a postcard that is intended to be passed out as a personal invitation to “Check Out” your round robin, practice, or not used as an invitation at all. 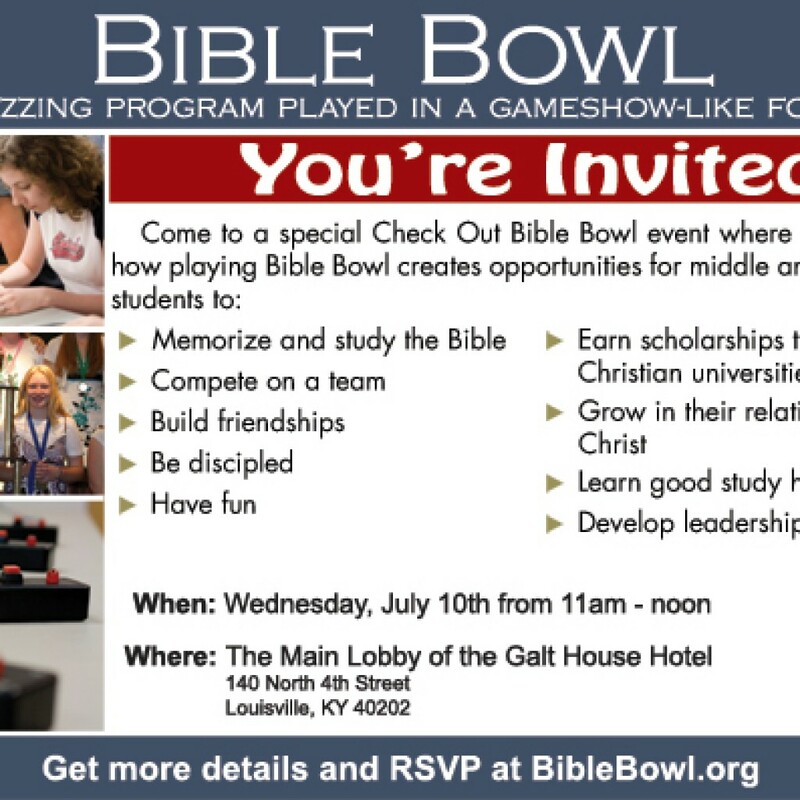 This flyer is a great handout for inviting people to come “Check Out” Bible Bowl, whether it be a practice or a tournament. 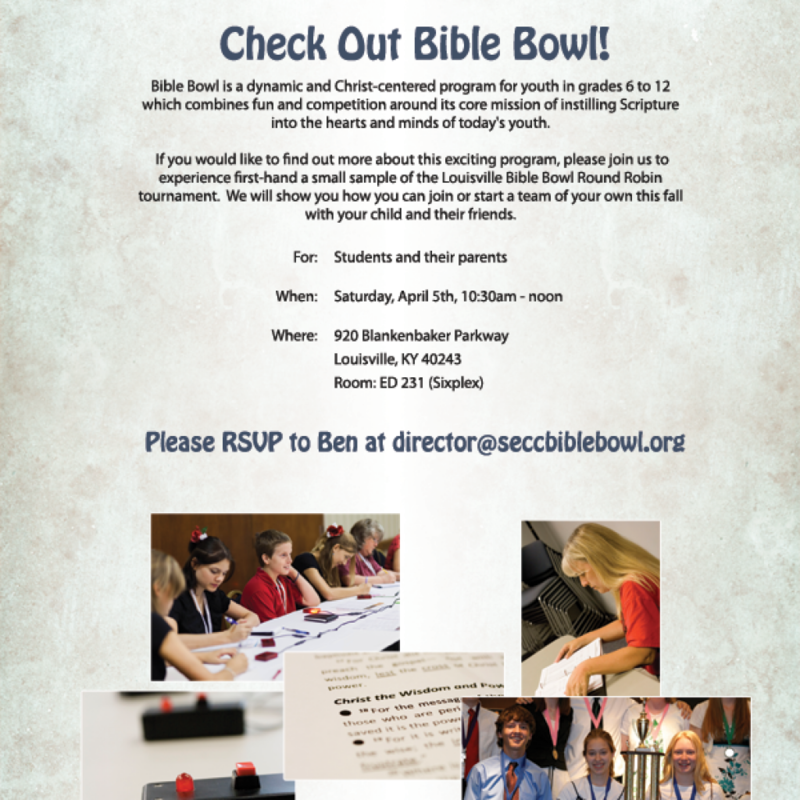 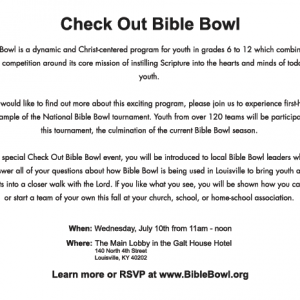 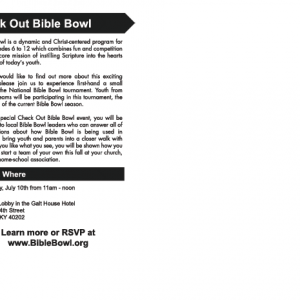 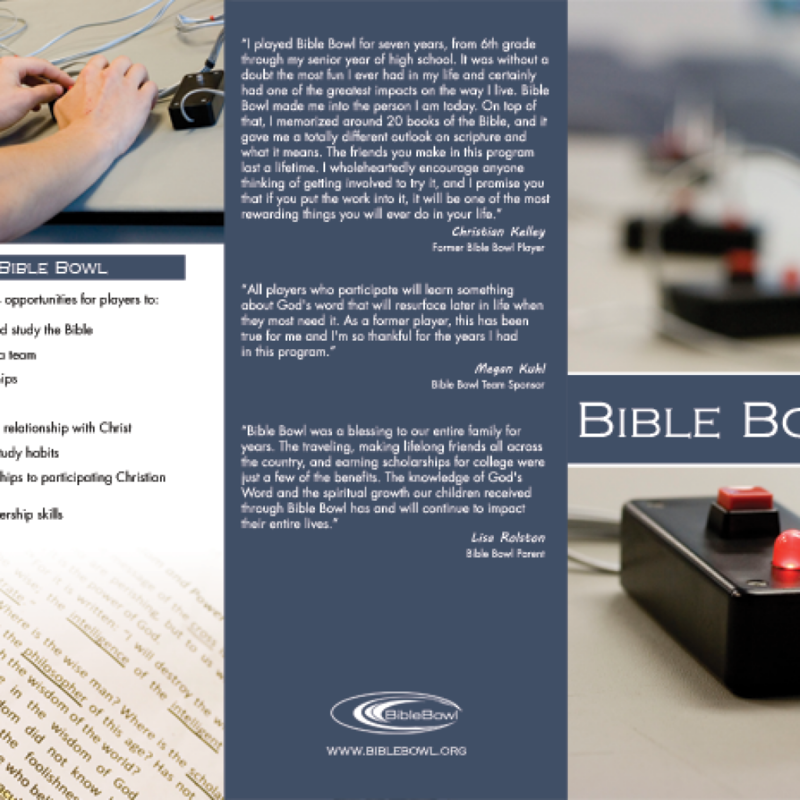 This brochure provides general information about Bible Bowl.